Ben Franklin once said “An investment in knowledge always pays the best interest”; never has that been more apparent than now. With 5 years of exceptional graduating classes under its belt, the School of Equine Management Excellence is one of the most sort after Equine Colleges of its kind in South Africa. Graduating students have excelled and proven themselves again and again, not only here in South Africa, but in Australia, England, New Zealand, America and even as far as Japan. The fact that 3 out of the last 4 top graduating students from the School, have gone on to Top their Diploma course at the English National Stud, is most certainly proof of the investment paying dividends. The School and its offerings is the culmination of a dreamer and a visionary, who realised that without education, real opportunities within our industry would remain out of reach for many talented horsemen and women. The School of Equine Management Excellence is situated on the thoroughbred breeding farm, Summerhill Stud, within a few kilometres of the KwaZulu-Natal town of Mooi River. Summerhill and the Goss family have been breeding thoroughbred racehorses for generations, and it is a well-established, thriving business. Summerhill has won ten breeder's championships, a modern day record for South Africa, and is one of the biggest employers in the area, accommodating on the farm a community of about 600 people. It is home to four educational institutions. A clear vision, nurturing and training philosophy has driven the need to establish a school of this kind, where classes are given in a state-of-the-art, 40-seater lecture theatre, where a comprehensive curriculum and access to the world's experts in various fields within the industry and business sector, sets the facility apart. It is the only facility of its kind in the southern hemisphere, and one of only a handful in the world. The school's main objective is to upskill members of the previously disadvantaged communities from around South Africa, equipping them for management roles within their organisations, besides the development of a mentorship programme, and the creation of employment. 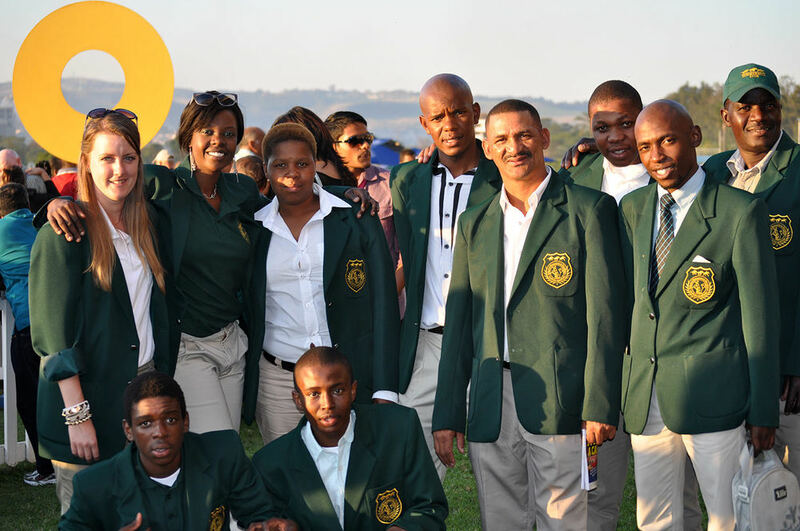 The student body also comprises of numerous private students from South Africa and abroad, who have the option of completing the various accredited stud courses on offer. The School's governing body includes retired Judge of the Supreme Court, the Hon. Alan Magid, ex-Jockey Club Chairman and senior lawyer, Ronnie Napier, Dr May Mkhize, Alan Miller and Heather Morkel. The school has received international recognition through the award of the Childwick Trust Scholarship to the British National Stud annually, for the top previously disadvantaged student graduating from the Stud Management Certification course. 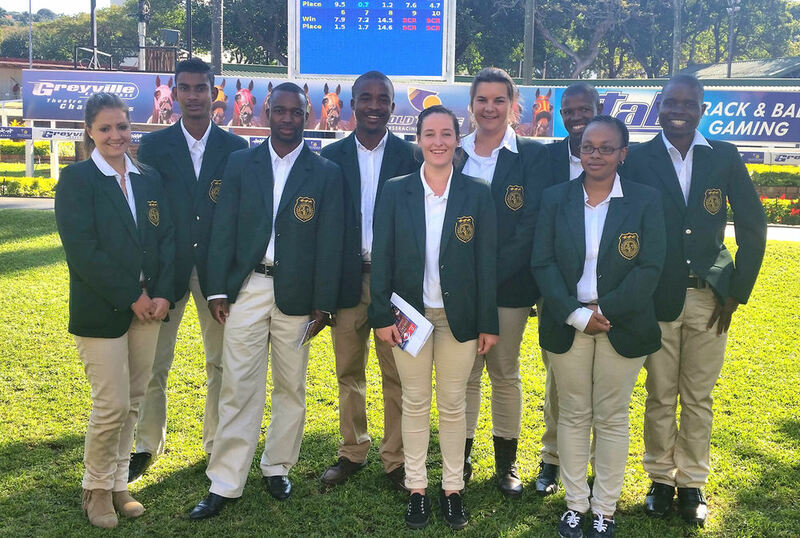 Top graduating students are also offered learnerships at premier international stud farms across the world, offering them the opportunity to expand their skill set and add invaluable experience. The curriculum includes three separate courses relating to Stud Management. The semester begins in January, though we have found that the seasonal and divisional progression is best experienced from May onwards, with a 5-month Certificate in Stud Management, an introduction to the operating activities of a breeding farm; this is followed by a Certificate in Equine Reproduction, a 3-month course focusing on the technicalities of thoroughbred breeding; the final quarter of the academic year is a Certificate in Sales Preparation and Consignment, a must for any person with the ambition to succeed in the thoroughbred breeding industry. Each course may be completed individually; it is however highly recommended that all three courses be completed as a 1-year Stud Management Course to gain the full benefit of the skills imparted upon the students during their time at The School Of Excellence. The project is underpinned by Summerhill Stud, which provides the field experience, practical facilities and administrative structures and financial support to the school, ensuring its sustainability. Funding sources include student scholarships, donations, and tuition fees. The School of Equine Management Excellence is incorporated as a non-profit company, without members, as defined in the Companies Act. Included in tuition fees are uniforms, coursework, outings and accommodation; students are housed on Summerhill-owned property. The School is also registered as a training provider with EQASA (www.sanip.org.za) and CEEPSA (www.ceepsa.org) and is accredited with CATHSETA (www.cathssetha.org.za). The School of Equine Management Excellence runs three courses a year, specifically geared toward Stud Management, Equine Reproduction and Sales Preparation. Theses courses will benefit anyone who would like to work in the breeding industry, either for Thoroughbred Racing or the Sport Horse industry. Each year the School of Excellence accepts private students as well as a number of bursaried students (who come from previously disadvantaged backgrounds). Numbers are limited to be able to provide more one on one tuition, which helps to ensure the highest qualifying results. Entrance requirements include a Grade 12 qualification, previous horse experience and a passion for the breeding industry. Our first course runs from January (though we have found that the seasonal and divisional progression is best experienced from May onwards) to September and offers students a complete introduction to Stud Management, encompassing all the relevant subject matter from the basics of horse management to more advanced veterinary care, pasture management, equine reproduction and the business skills required to manage a stud. The second course runs from October through to December, and takes a more in depth look at equine reproduction, breeding nutrition, stallion management and includes Artificial Insemination and embryo transfer. The third course is “Sales Preparation and Consignment" including the various intricacies of the preparation and management of thoroughbred racehorses, conformation, unsoundness, and pinhooking. Students are housed in well appointed student accommodations that are on Summerhill-owned property. All theory lectures and course work take place in the school auditorium, which has a full multi-media centre and WiFi for student use. Summerhill Stud provides the most wonderful learning environment for students, with 400 horses on the farm including a Pre-training division and a full complement of highly experienced staff. The stud work is diverse and students get a real feel for every division of a large scale breeding operation. The Broodmare division will foal down approximately 140 mares a year and the stallion division will cover close on 140 mares. This combined with the Sales division prepping 120 Yearlings and 100 Two-Year-Olds for sales, will keep students busy and provides a wonderful canvas for education. Grimthorpe (Frankel & Enable), Gold, Gosden (Enable) with the sales course students. Tell me and I’ll forget. Show me, and I may not remember. Does the School of Excellence offer distance learning courses? Unfortunately, we don't offer distance learning as the course content has a very strong practical bias, and we feel that a "hands on" approach is best. Theory taught here at the school is practiced on the farm daily. What is the qualification offered by the School, and is it an accredited course? The course offers Certificates in Stud Management, Equine Reproduction and Sales Preparation, which are accredited through CEEPSA (Council of Equine and Equestrian Professionals South Africa) and CATHSSETA (Cultural, Arts, Tourism, Hospitality and Sports Sector Education and Training Authority) accreditation is in the process of being finalised. What is the minimum entry requirement? Applicants must be literate in English to a minimum level of Grade 12 or equivalent, basic horse handling and knowledge will be an advantage, and candidates must be over 18 years old. What about employment within the Thoroughbred Breeding Industry? The course is run on a full time basis, with lectures, practicals, assessments and field trips during the week days. Work may be available on the stud during the "internship" or project phase, October to December. This will be on application and is not guaranteed. Candidates will be assessed, selected and awarded internships accordingly. Job placement is not simply guaranteed, and this will depend on the individual candidate and the results attained. Summerhill is well-placed both locally and internationally to provide the necessary introductions, and internship programmes, but graduation of the course does not automatically qualify a person for job placement. We award a number of international scholarships to successful, qualifying graduates each year (funding dependent), which is a wonderful way to get to know the industry and travel internationally. What careers can be pursued within the Thoroughbred Industry?